Parameter -t 0 will execute shutdown immediately. 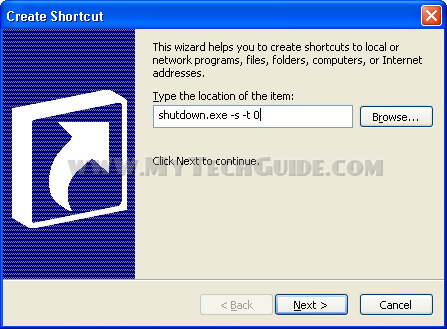 If you change -t 0 parameter to -t 60, shutdown will occur in 60 seconds and so on. I love the way you explained this things, 2 thumbs up.